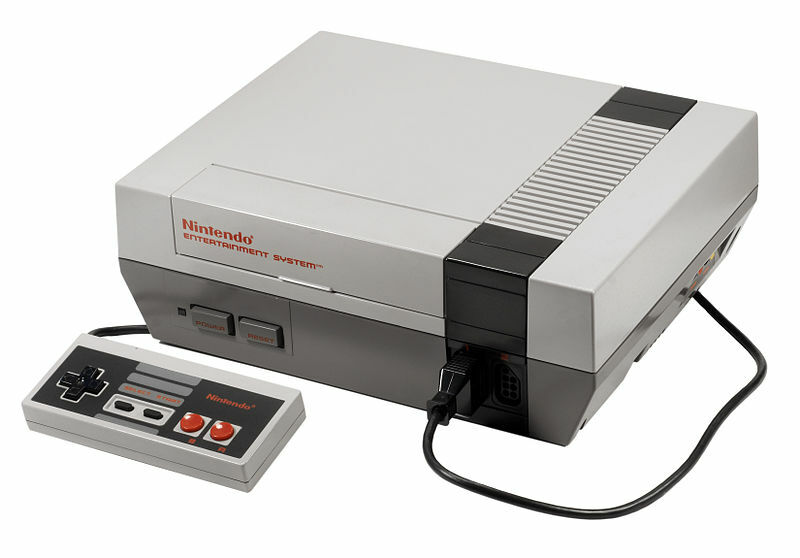 After the Spectrum came the NES (or Nintendo Entertainment System for those who really enjoy syllables), a revolution that brought gaming out of arcades and into the living room. With it came a generational leap in audio quality, a series of truly iconic soundtracks and, for the first time, composers who would go on to become infamous. When games were real games, buttons were real buttons and controllers gouged chunks from your hands. Since the internet is at least 30% NES music videos and players by volume I’ll resist adding to the noise and instead try to focus on the technology, the composers and the journey they took together over the life of the console. Of course I wouldn’t be human if I didn’t link to some Mario music at the end though. The NES employed five rather limited channels – offering far more than the single-channel beeper of the Spectrum ZX but unsophisticated compared to the beast that was the C64. Early NES games were limited by this and while they obviously sounded better than the Spectrum games, they were unexceptional at best. Combined with the fact that development hardware, tools and specifications were hard to get hold of, it is far to say that without the console’s monstrous popularity and the genius of the developers and composers NES music would never have progressed beyond tepid mediocrity. Neil Baldwin tells a fascinating story of how when he started working with the NES all he had was a handful of consoles and “a badly photocopied hardware specification that was 99% written in Japanese!” Thanks to some reverse-engineering and some help with translation he and Tim Rogers, both of Eurocom, managed to get together a rudimentary development kit. He worked out tunes on a little keyboard, then typed out pitches and durations into the assembler. By hand. He goes on to describe how his techniques evolved and improved over time, as did his home-brewed drivers and tools. Trade-offs were the name of the game. For example, using a trick to compress a reverb effect into a single channel rather than the more traditional (and simpler) two channels. He took a slight quality hit but freed up an entire channel. His discussion of the music in Lethal Weapon 3 offers some fascinating insight into the process of creating music for use in-game alongside the effects. The SFX driver was designed to steal voices from the music when necessary and “in this instance the interruptions were so frequent it made a mess of the music”. Therefore he simplified the music and freed up a voice so the interruptions would be less frequent and intrusive. Trade-offs, trade-offs, trade-offs. Working on games from the NES and thr Game Boy through to the N64, David Wise has his name on some of the greatest music the consoles have to offer, particularly the renowned Donkey Kong Country on the SNES. He describes one of the more challenging aspects of creating music for the NES – where some developers and composers were simply battling the console’s sound driver to write their own music, the NES was home to a great many arcade ports and trying to produce a faithful emulation of the original music was a completely different ballgame. Definitely not a chore. An interesting and pleasant challenge. With Jeopardy, the challenge was trying to suggest the chords with only 3 note polyphony. And Marble Madness, which was a great soundtrack anyway, trying to coerce the NES into emulating the original, was very rewarding. It’s obvious to anyone with half an ear that the arcade version had so much more scope, depth and horsepower to play with, but for a conversion to the puny hardware and drivers in the NES, David Wise did a sterling job. When I was researching this post I was both pleased and surprised to encounter the name Tommy Tallarico, because I’d heard his work before in a more modern context – this guy has been going a long while. More importantly, he also created the amazing Video Games Live concert which has rightly won many awards. The thing to remember about game music back then is that if you were going to use long sustaining notes or higher or lower note ranges you were just asking for trouble!! The sound drivers and converters just couldn’t handle it. The best thing to do was to make a really syncopated simple song that didn’t go very far in note range and had relatively small note values for length. That’s not to say that others couldn’t get the little sucker to sound good. There were all sorts of tweaking tricks one could do to get it to sound “not horrible”. Composer/programmers could write their own tools and incorporate things like vibrato and pitch bend. His discography reads like both a “Best games of All Time” and “Best Game Music of All Time” award sheet. Punch-Out, Mario, Zelda, Star Fox… There is a reason Koji Kondo was hired by Nintendo as their first dedicated composer. Cribbing from his Wikipedia entry, he “began taking lessons in the electronic organ from the age of five”, “gained some experience in composing and arranging pieces, using both the piano and a computer to assist him”, and “successfully applied for the job in 1984 without requiring any demo tapes”. Perhaps as much as Shigeru Miyamoto, he was instrumental (hah!) in making Nintendo a brand that would be recognised the world over. I had a number of limitations in the number of parts, the range of tone colors or tone registers, or in phonetic value. But in fact it was really enjoyable to find out what I could express! I tried to find out how much I could create and achieve within the limitations or, to put it another way, how I could utilise the limitations to create something new. From the beginning we think “This is what we’re working with, so let’s make something that will sound good on this format. 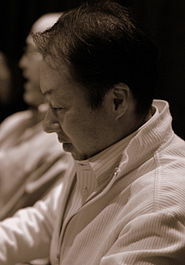 Another of Nintedo’s in-house composers, Hirokazu Tanaka needs no introduction. Responsible for Tetris, Metroid, Kid Icarus, Fire Emblem and more, his music will live on for a very long time indeed. Then, sound designers in many studios started to compete with each other by creating upbeat melodies for game music. The pop-like, lilting tunes were everywhere. The industry was delighted, but on the contrary, I wasn’t happy with the trend, because those melodies weren’t necessarily matched with the tastes and atmospheres that the games originally had. It’s a small thing, but being a programmer and a composer using my original program was a strong element of my uniqueness, I think. I was always particular about me directly accessing the music source and wielding the sound from there. I’d never changed my way of doing things, starting from understanding the buffer in order to write every parameter for sound controls, to writing the data directly to them. I preferred to stick to my way because I believed that could maximize the sound chip capability, which was limited to 3 to 4 tones, and generating more detailed sounds. Even while writing this the more I learned about the hardware and the technical limitations of the NES, the more I could hear it coming through in the music. Listening to the music in the first part of Matroid, Brinstar, it was quite clear that two channels were being used for the music, the rest devoted to FX. A single voice generating the main melody, clean, simple and moody, backed up by a second channel providing percussion – I presume the white noise channel being pressed into service as cymbals (I’m probably wrong, I usually am about these things). Little details like that, to me, make the already wonderful music even more charming and interesting. Reading about the composers and hearing their own words and stories regarding the music the wrote for NES games has been fascinating and I’m not sure I can listen to any NES score again in quite the same way as I used to. And I mean that in the best possible way.